Golden straw coloured Chardonnay, with just a gentle touch of oak. 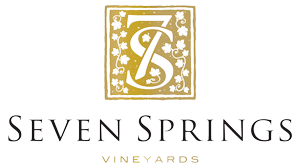 The philosophy of Seven Springs is to aim for balance and staying true to the nature of our vineyards. The Overberg has such rich soils that it delivers a unique type of fruit, which does not need much to show its beauty and elegance. The acid is bright and fresh, yet not acidic. The flavours are that of candied lemon, velvety crème Brule with a unique salinity found in the wines from here. This is the vintage we’ve been waiting for. In the Overberg, especially the Hermanus area was a superb year for all varietals. 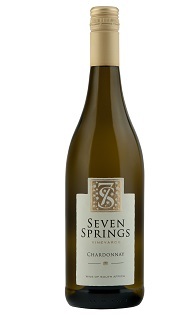 Across South Africa it was equally great, but more for white varietals. This is the vintage you want to invest in. 2015 was preceded by an exceptionally wet year in 2014, making 2015 seem like dry year, when instead it was just right. All the climatic conditions aligned, ample rain in spring, cool January and a temperate and dry summer, with the odd heat flash, as we are seeing more constantly now, thanks to climate change. Harvest commenced on the 4th of February, two weeks earlier than the previous vintage. It was a cool, cloudy day, perfect to ensure that they arrive at the cellar still relatively cool. Alcoholic fermentation on the Chardonnay starts off with natural occurring wild yeasts and half-way through ferment we will inoculate with commercial yeasts to finish the fermentation. The Chardonnay ferments in old, 300L French oak barrels and remains in those barrels for the remainder of the year, until bottling. The Chardonnay has undergone partial Malo-lactic fermentation, whilst in barrel as well.